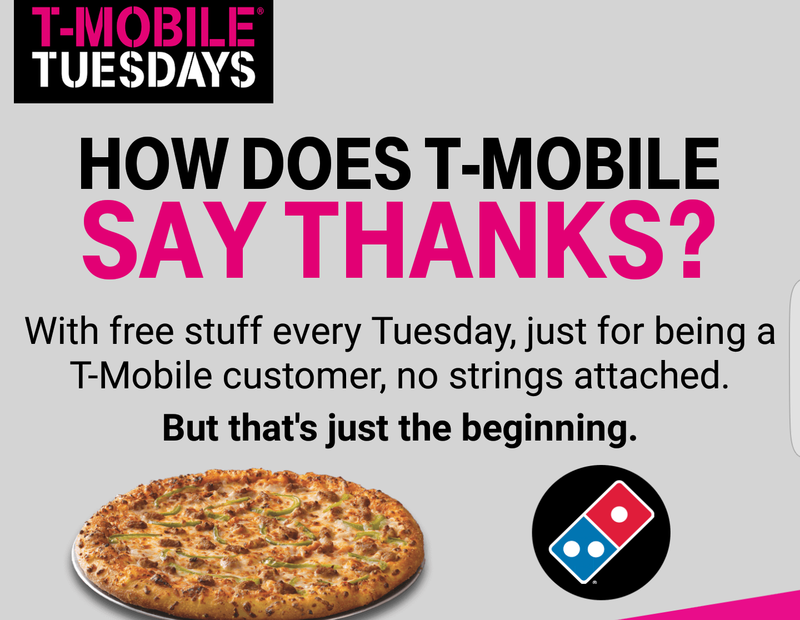 FYI some @dominos stores are hitting max capacity on their #TMobileTuesday s! Try another store if u can! Wow, our customers ❤️ pizza! Let's rewind. The new T-Mobile Tuesdays app offers weekly freebies. Think a Frosty from Wendy's, a movie rental from VUDU, and a pizza from Domino's. It's available to pre and postpaid customers alike. Yesterday many people attempted to use the provided Domino's code only to discover that it was not valid. You can see them complaining across Twitter, since that's what Twitter's for. Their local store had already reached the maximum number of redemptions. To make matters worse, a single family plan can use codes for each line. In densely-populated areas, competition may already be fierce at your local chain. This doesn't help the situation. But hey, it's not like you lost any money, right? Better luck next week.